Children constantly use their imaginations to create something out of nothing. Their lives are ones of theatricality and experimentation, discovering their world and themselves through play. 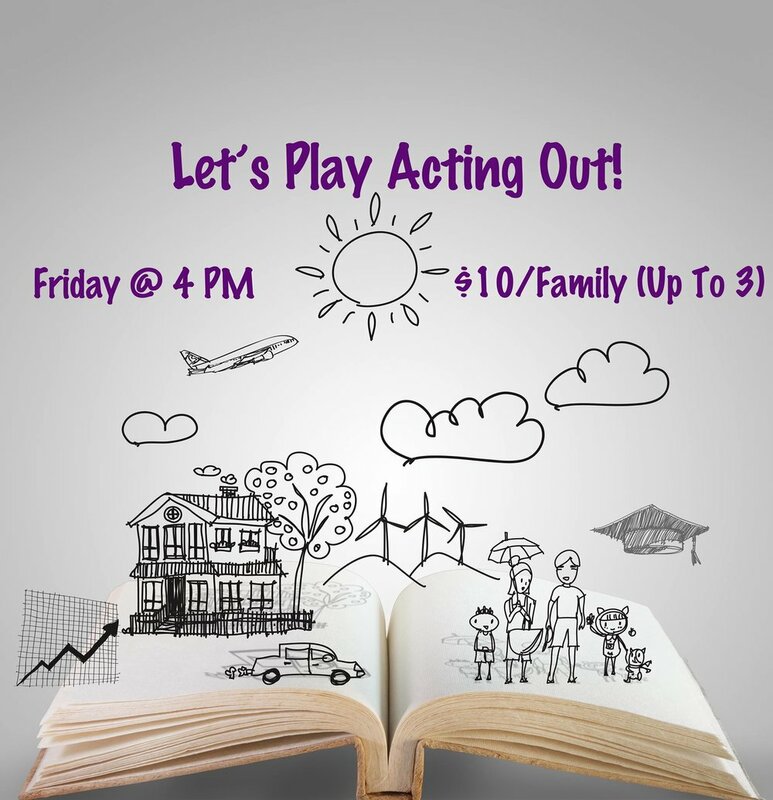 Drop in to this weekly class and explore the world of theatre through the eyes of a child... Let’s Play! uses theatrical concepts (such as: movement, voice, imagination, costumes, props) to facilitate physical, social & emotional development in your young performer. Designed for children ages 3 - 5, the class incorporates songs, stories and activities that use imaginative play as a foundation for learning. Each parent/gaurdian will stay with their child during the program and help them through the games and activities geared to prepare their little one for preschool and beyond. Admission to the museum is only $5/person if wish to come before or stay after. Join Teaching Artist Kyle Jozsa as he – along with parents – guides children on a themed theatrical adventure every other week! From animals to super heroes and everything in between, these Let's Play! workshops are designed to encourage creativity and teach teamwork through the lens of play. Children acquire many skills from acting out stories. From oral language skills—vocabulary and narrative understanding—to social and emotional skills, dramatic play acts as the great enhancer. Let’s Play! is a 50-minute class that utilizes theatrical concepts (such as: movement, voice, imagination, costumes, props) to facilitate physical, social & emotional development in your young performer. Creative play allows young students to express themselves in a safe and open environment, as well as providing an excellent outlet for creativity, energy and fun! Designed for children ages 4 - 7, the class incorporates songs, stories and activities that use imaginative play as a foundation for learning. Parents/Guardians will stay with their child during the program and are encouraged to participate! Named the 2016 Akron Arts Alive! Award Winner for Outstanding Artist in Theater, Kyle Jozsa is the primary Storyteller and Director of Education with Wandering Aesthetics. He began his teaching career in 2010 with Weathervane Playhouse. Since that time, Jozsa has worked full-time as a preschool teacher, developed curriculum for traditional and non-traditional classes alike, and led workshops for students of all age groups throughout Northeast Ohio and beyond – working with organizations such as City Sprouts, Cleveland School of the Arts - Lower Campus, Countryside Conservancy, Crown Point, Firestone High School, The Goddard School, Junior Leadership of Akron, TACA, TransOhio and many more. Primarily focused on the sustained growth of Wandering Aesthetics, Kyle works part-time as a Teaching Artist for HBTI and The Artful Living Program out of Stark County. 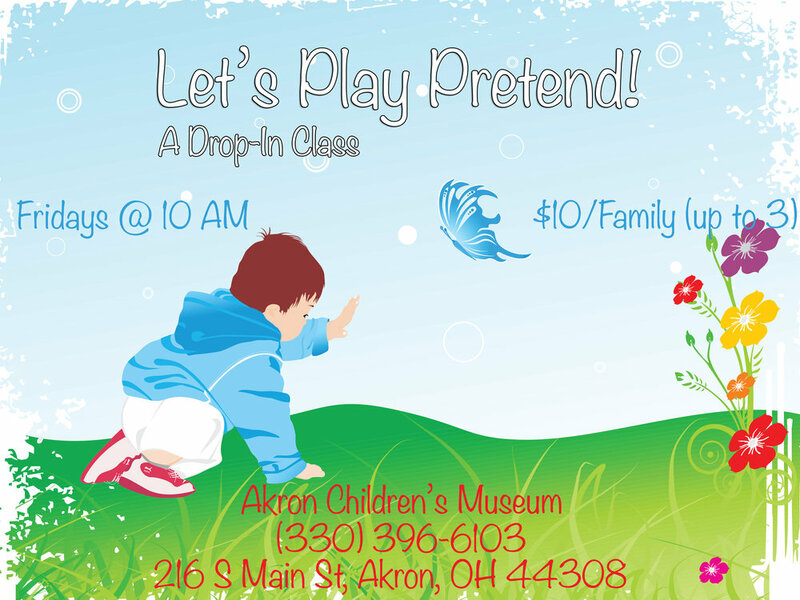 Jozsa, a member of Ohio Voices For Learning, continues to spread his play-based enrichment programs throughout the Akron area. Read more about Kyle on the Akronist's website.